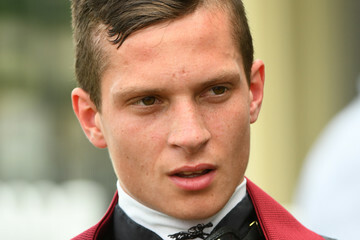 Canberra trainer Matt Dale was delighted to book recently arrived Victorian apprentice Zac Spain for progressive filly Further To Fly ($4 into $2.50 on TAB fixed odds) on Tuesday with an eye to the Kembla Grange Classic later in the month. The Pierro filly will run over 1400m in a Racing NSW Rising Star Series heat at Kembla with Dale using the Gymea Combined Probus Club Class 1 Handicap as a gauge for the future. “She missed a run Canberra the other week with a foot abscess and this race seemed to be the right fit in a couple of ways,” Dale said. “I wouldn’t usually run her in an apprentice race because she needs a bit of riding, so I had to find an experienced jockey, which was a bit tough because I left it late. Further To Fly has only had the two starts, she disappointed when well supported on debut before delivering a 6-1/4 length maiden at her home track on February 2. Dale was toying with the idea of better things with her, especially as the races stretch beyond a mile. “If she was to run well at Kembla, you have to look at the Classic with her,” Dale said. “I would be lying if I said she isn’t there to have a look at the track and see if can she can be competitive."